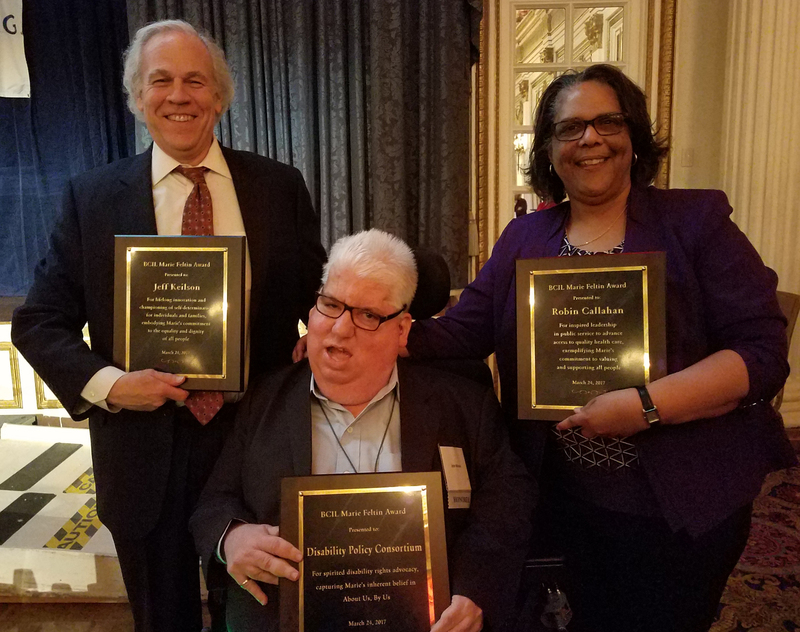 Senior Vice President of Strategic Planning Jeff Keilson of Advocates, a nonprofit provider of services to individuals facing life challenges, has received the Marie Feltin Award from the Boston Center for Independent Living (BCIL). 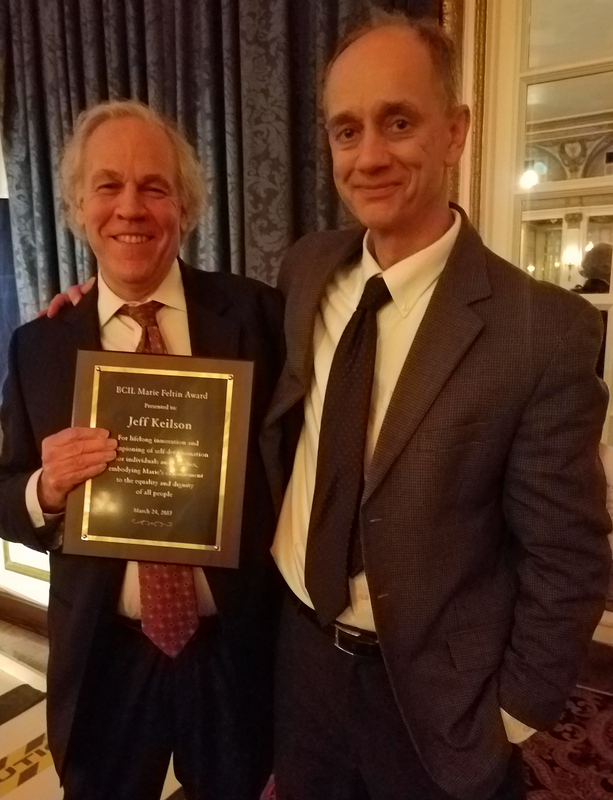 Keilson was honored during the 2017 BCIL Marie Feltin Award ceremony held on March 24 at the Fairmont Copley Plaza Hotel in Boston. The Marie Feltin Award is presented annually to individuals and organizations who exemplify the spirit of the late Dr. Marie Feltin, an advocate for patients with disabilities and chronic illness. Feltin was a modern day pioneer in providing medical care to society’s most neglected and vulnerable populations. Keilson has more than 40 years of experience working with elders and people with intellectual and developmental disabilities, brain injuries, and mental health needs, as well as their families. Early on in his career, Keilson developed the conviction that people should have the right to self-determination and greater control over their lives, and he has provided leadership in this area ever since. Twenty-five years ago, while working for what is now the Department of Developmental Services, Keilson initiated an innovative program to support children with complex needs to stay living at home with their families. He also spearheaded an initiative supported by the Robert Wood Johnson Foundation to promote self-determination and control of resources in communities of color. 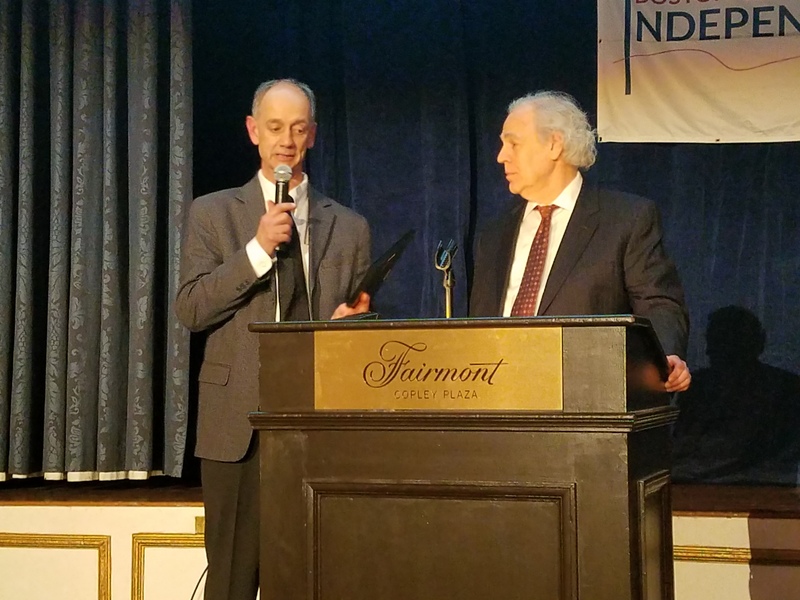 More recently, in 2010 Keilson received a Local Innovation Award from the federal Administration on Aging for his work with Bay Path Elder Services to develop a self-direction initiative for elders.